of the mandy connell show, koa850. See what your handwriting reveals about your journey. ​but one must be taken. Inaction leads nowhere." ​Every person's life has an important story to tell. Our handwriting reveals the story of beliefs we live by. When these beliefs are challenged or changed through life experiences, they are reflected in every mark and stroke placed upon the paper. Through my 23+ years of experience as a trained Graphologist and being a lifelong psychic, I work with people to change unconscious behaviors and rediscover their true potential. 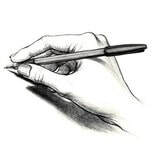 By reviewing your handwriting I can point out pattern choices that have created habits you live by on a daily basis. When I explore these written words I am looking for key factors affecting how you choose to move in the world and where these pattern choices come from. My analysis will explore belief systems that are motivating life choices, whether it be a love partner or a friendship. We will explore if your parents are still an important factor in life choices or are you independent in making decisions. I am not reading the handwriting sample, I am analyzing the characteristics of your writing sample. 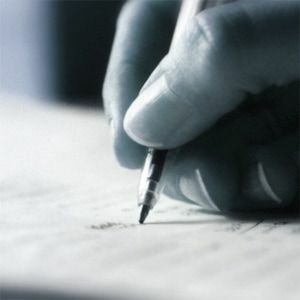 Handwriting Analysis can change your life. Every experience you have positive or negative can change your handwriting. There are over 5,000 issues that can be identified in a written sample. Often times, I will give out an exercise called, "Grapho-Therapy. This exercise is exclusive to your situation of a habit that is causing you stress. ​I believe we all must go deep within ourselves in order to successfully pursue a positive journey in life. We cultivate issues as they attach themselves to our mind and heart while unraveling within our handwriting. We collect emotional baggage like the gathering of seashells embedded within the sand, one issue at a time until we set them free through an understanding of the pain left behind. Some journeys in life have a powerful impact moving us forward by the choices we make. Choices are executed by all the information and life experiences set before us telling our story while reflecting the path we have chosen. As life would always have it, we grow and learn often-times from painful choices. These experiences are the ones that linger the longest, but create the most powerful journeys. wHAT IS THE DIFFERENCE BETWEEN INTUITIVE & PSYCHIC? ​Intuitive is when logic and reasoning is used to come to a decision. Psychic is when information comes from a spiritual source to assist in what is being received.